I use my cereal box Stamper to create the background, along with some collage bits. I printed the blue flowers and painted over them. 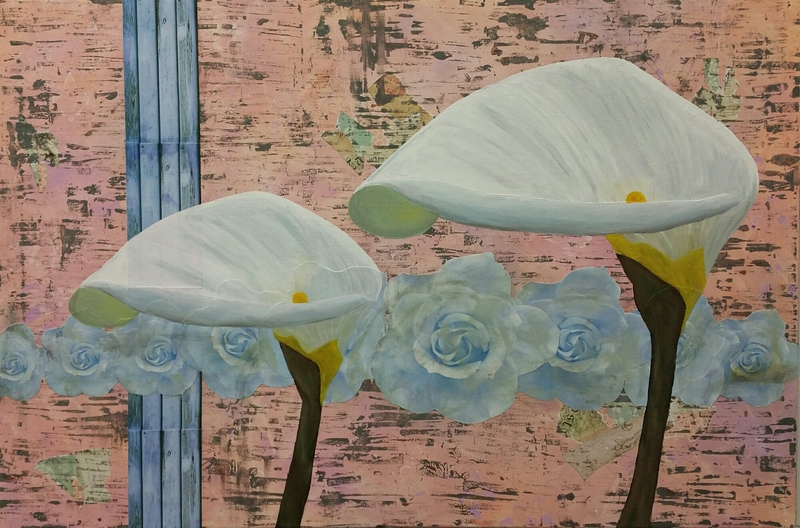 The calla lilies took some time comment due to my continuous struggle with realism. While there is not a whole lot of meaning, I love this painting so much. It’s hanging in the office at my day job until someone buys it out from under me. The original is (grudgingly) still available for purchase. Contact ee33art@gmail.com with inquiries.